In addition to normal Jeeps, the airborne forces at Arnhem were supplied with special Recce Jeeps, fitted with single or twin Vickers machine guns. Using speed as it's main offensive and defensive tool, this recce Jeep is able to become a threat to any undefended target. 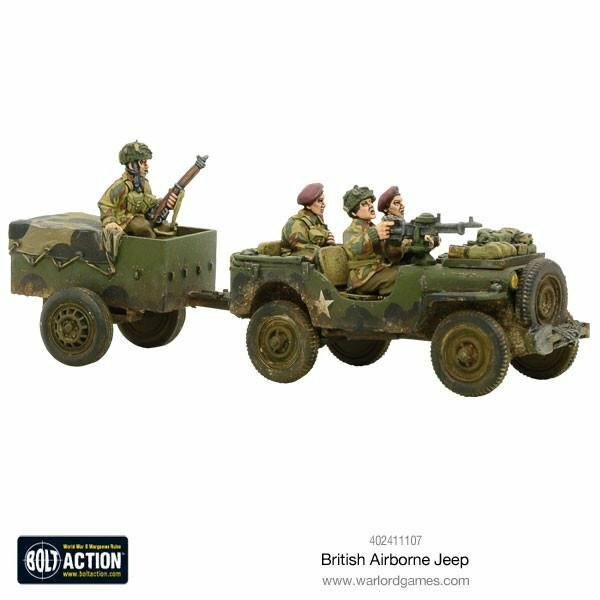 Use the jeep to hunt down auxiliary and support units such as FOO teams, Lieutenants and immobile weapon teams. Cost: 28pts (inexperienced), 35pts (Regular), 42pts (Veteran). Weapons: 1 forward facing Vickers MMG. Damage value: 6+ (Soft Skin).